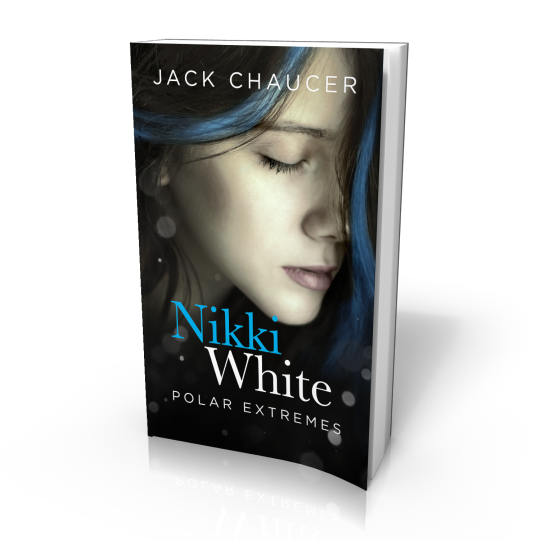 When Nikki Janicek sprints from the 200-degree sauna out into the 100-below darkness wearing nothing but bunny boots, at least she’s not alone. She already has survived months of solitary confinement, a forced swim with sharks and a scary journey to the South Pole. It’s all part of her training for a six-person, one-way mission to Mars. Nikki wants to go, but not with The Bridge — a space-obsessed company that abducts, controls and violates people. She wants to free her father, her former lover and herself. And she’ll attempt it with the help of the young man who shot her seven years ago. I’d like to thank the author, Jack Chaucer, for providing me with the rest of the series for free although I had only been approved for the ARC of the third book by Net Galley. Let’s start with our protagonist. I did enjoy how she was becoming easier to like, making tough choices and growing as a character. This book was all about redemption, change and second chances, which is good but I’m still conflicted about Thomas. I just can’t picture him as anything but the guy he was in the first book. In terms of setting, Antarctica was literally the coolest choice ever. I fell deeply in love and I just didn’t want any of the characters to leave at all. I liked this a lot better than the second book, but I think it fell short of the first one. I would recommend this book to those who have read the previous books in the series (helps to read in order) and those who dream of going to Antarctica one day. For food pairing, I’d go with vanilla ice cream because of the setting. I don’t have any particular recommendation for the music – some ambient nature sounds such a crackling fire would be best.